From ghosts to pink dolphins to a fight club of young women who practice beneath the Alaskan aurora borealis, "By Light We Knew Our Names" examines the beauty and heartbreak of the world we live in. Across thirteen stories, this collection explores the thin border between magic and grief. 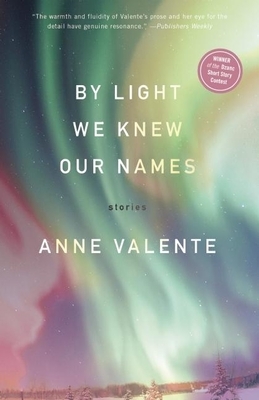 Anne Valente's fiction appears in Hayden's Ferry Review, Ninth Letter, The Journal and Redivider, among others, and her essays appear in The Washington Post and The Believer. She is also the author of the fiction chapbook, An Elegy for Mathematics (Origami Zoo Press, 2013). Winner of Copper Nickel's 2012 Fiction Prize, her work was listed as notable in Best American Non-Required Reading 2011. Originally from St. Louis, she currently lives in the Midwest.